Here at Southdowns we became Pioneer agents mainly because of the strength of their Satellite Navigation and Audio combination units. They are simply great for motorhomes. 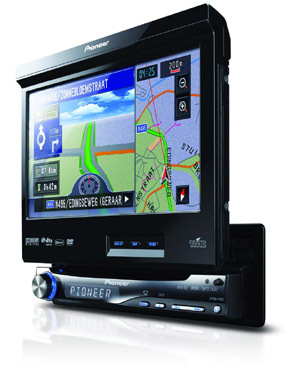 Get Europe's most powerful, integrated navigation systems in your motorhome. Or even in your hand. 26 countries, millions of points of interest, multi-sensor pinpoint accuracy, multiple entertainment options and Bluetooth mobile connectivity. We will be delighted to discuss with you which unit might be the best for you and your motorhome. Click here to see some of the key milestones in Pioneer's history.